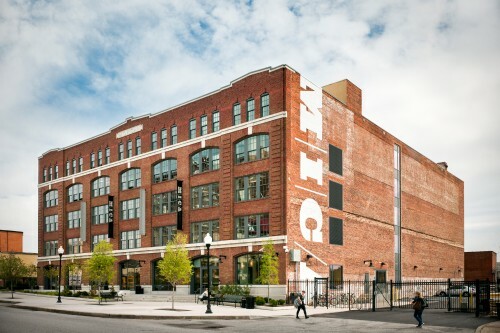 Location in the Station North Arts & Entertainment District adjacent to MICA's main campus, the Fred Lazarus IV Center is the hub of graduate student life at MICA. 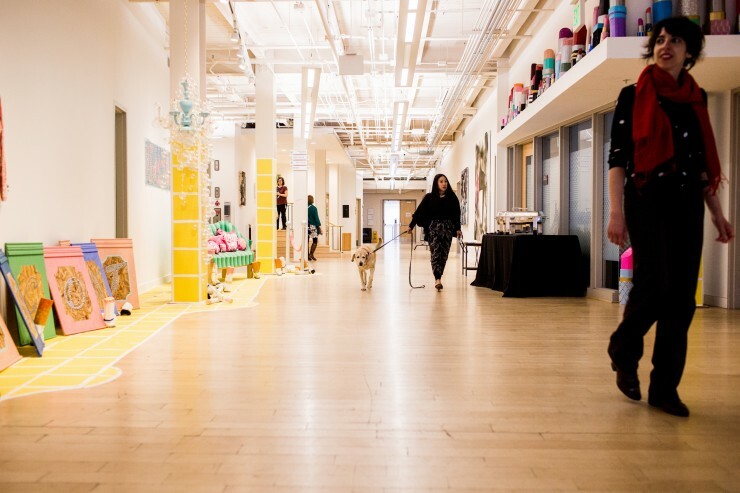 In addition to housing the graduate admission office, publicly accessible galleries and Nancy – a café that serves the MICA community and neighborhood residents – the 120,000-square-foot facility includes instructional space for students in the M.F.A. in Curatorial Practice, LeRoy E. Hoffberger School of Painting, Mount Royal School of Art, M.F.A. 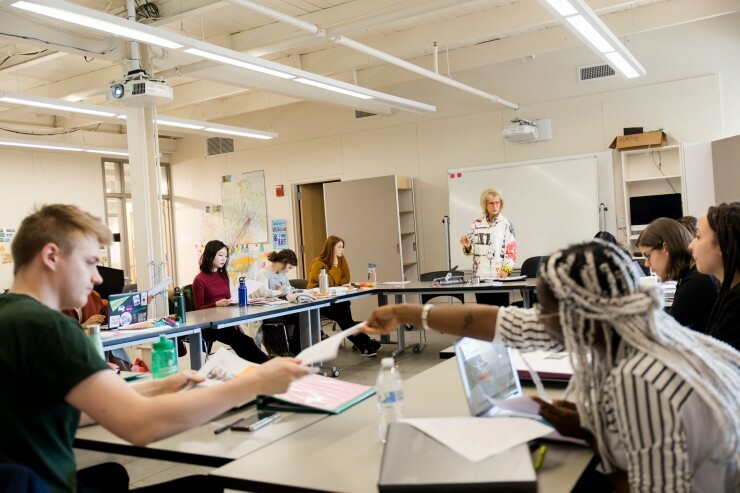 in Photographic and Electronic Media programs, Rinehart School of Sculpture and M.A. in Social Design programs. 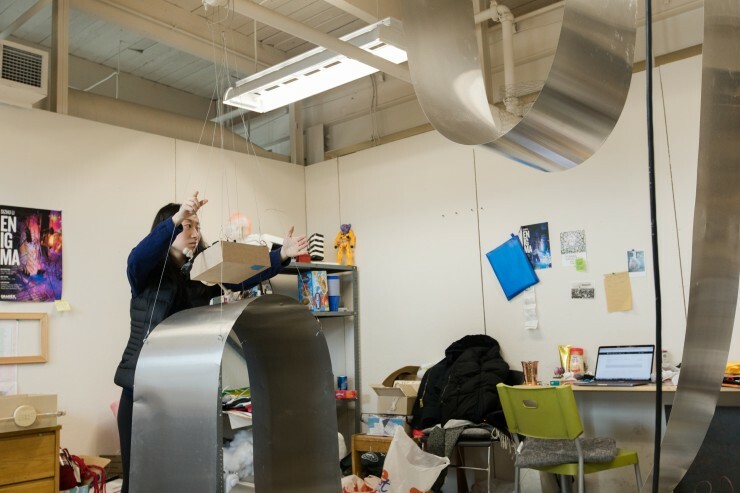 It also includes 177 studios, digital, computer, and photo labs, a fabrication workshop, and spray booths. Notable spaces include the Leidy Gallery on the lower level, the Sheila & Richard Riggs Gallery on the main floor and the France-Merrick Foundation Gallery on the second floor. 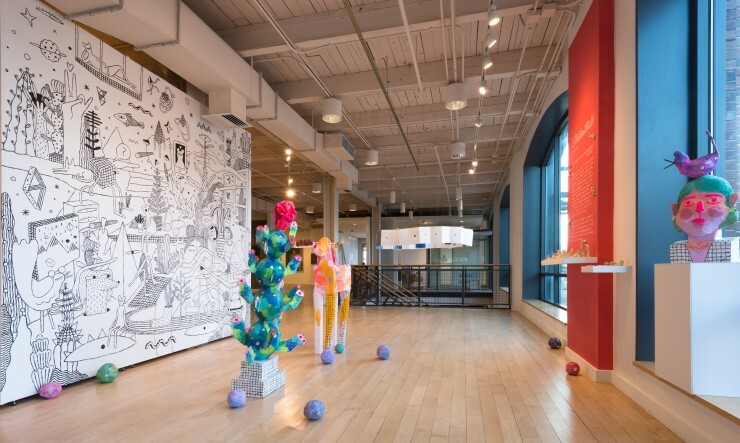 The Alvin and Louise Myerberg Gallery, on the third floor, was named in recognition of the parents of Wendy Jachman and her sister Jennifer Myerberg. The Fredye & Adam Gross Seminar Room was named for long-serving trustees Fredye Gross and Adam Gross.